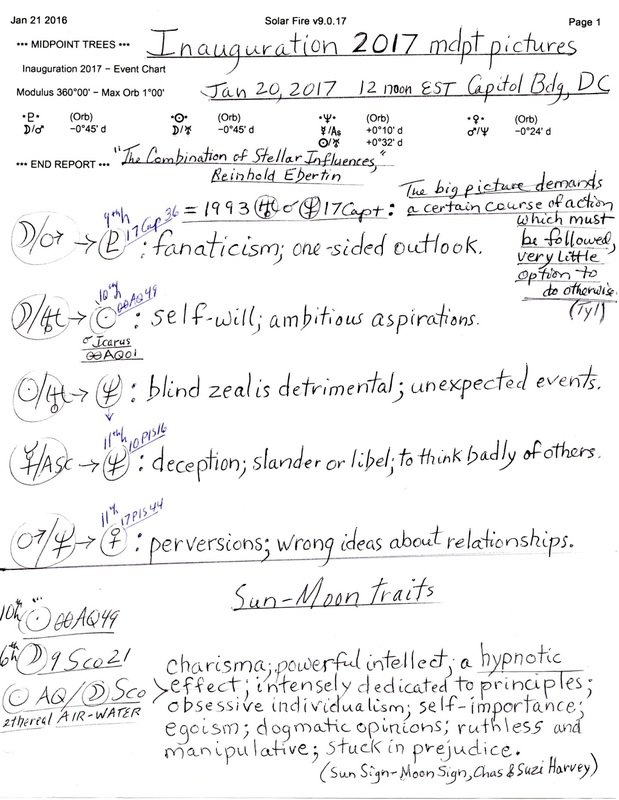 Please enlarge the image to read my scribbles of basic information and scroll below for the midpoint picture potentials active during the day. Providing the cosmic conditions for the 2017 Oath of Office and the 4-year term of the next president is a 5th house Solar Eclipse @9Virgo and if you're curious, here is a previous post concerning this 19 North Solar Eclipse which describes background influences for both Election 2016 in November and Inauguration 2017 in January. According to 19 North it's time to 'tackle the truth' though with our nation's capital city running on lies and deceit we must wonder how politicians will deal with such a frightful experience of the truth getting out. Unless, that is, the presidential victor is one of 'the outsiders' like Trump or Sanders. For my dime I prefer plain speaking Bernie Sanders over showman Donald Trump whose Mercury-Neptune distortions of facts and indiscretion are well known now in April 2016. Plus, Mr. Trump may not make it beyond the RNC 2016 nominating process so we'll see if any other truth tellers come forth for consideration in July and on November 8, 2016. After all, there will be a Capricorn Full Moon during RNC 2016 so facts and secret information may be cast into the public spotlight, and very inconveniently for some. Another caution in the truth-telling department is that deceptive Neptune @10Pisces is the chart's and the inauguration's final dispositor--everything comes back to Neptune which is not a stable planet--strong and contagious in its own sign--on which to pin our hopes for increased realism and truth. Actually, stark Saturn favors realism, truth, and accountability and there he is in the 8th house of Corporatism near the political asteroid Juno. Conservative Saturn can be quite doubtful and doubt-provoking when in Sagittarius (sign of the truth seeker!) and often describes those with a strong sense of justice, prudence, and possessing legal talents. Will this be enough to satisfy the impetus of the 19 North Solar Eclipse? 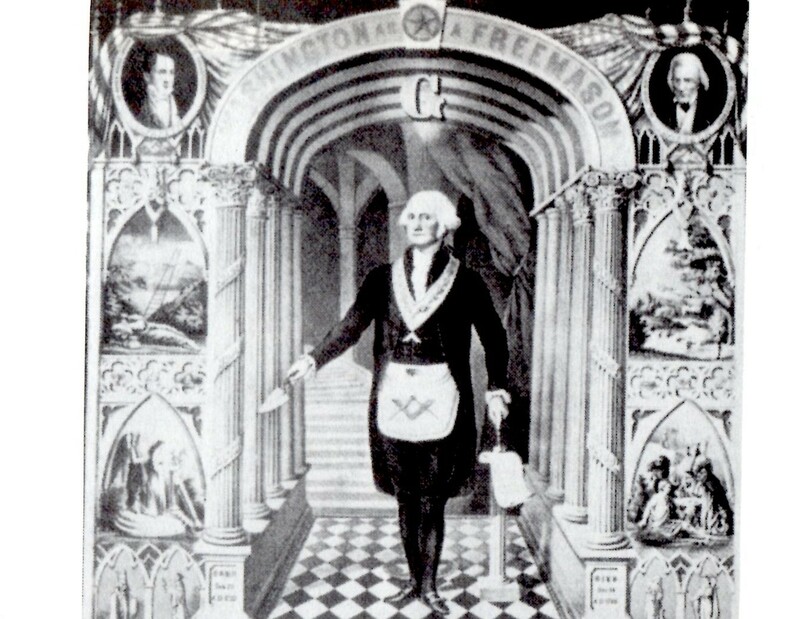 Looking back, 19 North is the Pre-Natal Eclipse Series of America's Great Seal (June 20, 1782), the Republican Party (July 6, 1854), and Inauguration 1981 of Ronald Reagan. Quite a trio! And not necessarily a trio of realism and tru...you know. So as you see in the horoscope, the Oath of Office will be taken during an active Hour of Mars, and there's a Bowl shape to the planets with the 6th house Jupiter in Libra in the lead. 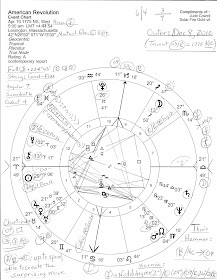 This shows a Jupiterian person who advocates for a cause, deals with needs, and is challenged by the empty area of the chart--here, it's Taurus through Virgo which includes America's natal Uranus and Mars in Gemini, our Venus, Jupiter, Sun, and Mercury in Cancer, and our natal Neptune in Virgo (sign of The Worker and Critic.) A major agenda has the next president but don't they all? Yet we know that global government types bedevil the American people who prefer the nation-state we're accustomed to! It's a long process forcing something upon people who say, No Thank You, and the Hegelian Dialect has been one of their favorite methods as the power elite 'solve' the very problems they themselves created and engineered. 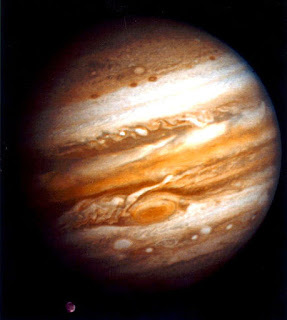 As for Jupiter in Libra, we know that this placement denotes a strong sense of justice and fair play. An example is Mr. Trump whose natal Jupiter in Libra is quick to shout, "it's not fair!" when things aren't going his way. So we may be tempted to prognosticate Mr. Trump as our next president due to his Jupiter Return/s (17Lib27 Rx) which manifest three times: December 4, 2016, April 13, 2017 (Rx), and August 4, 2017. This should be a time of rewards for him. 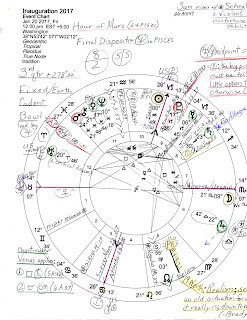 However, there are other transits causing frustration such as disruptive, rebellious Uranus in Aries opposing Trump's natal Jupiter (a money planet that also relates to thespians and politicians--his Gemini Sun is an actor and a juggler.) Plus, there's a square from transit Pluto in Capricorn to his natal Jupiter. This imposing square denotes that his exaggerations of self-importance bring obstacles to his political aims and are not favored by those with more power and influence. In short, the ongoing Uranus-Pluto square in Cardinal signs has engaged his Jupiter off and on so I'm guessing it's the dynamic T-Square the trio forms which played a part in encouraging him to (finally) make a run for the presidency. So let's not redecorate the Oval Office in gold gilt just yet! For on the cosmic agenda in 2017 Mr. Trump will experience difficult transits to his natal Sun-Moon opposition: truth-bringer Saturn will conjoin natal Moon @21Sag and oppose his natal Sun @22Gemini during his three-fer Jupiter Return. Ouch! These are periods when one's ego, integrity, leadership, and generosity are challenged by those with more power and seniority, and feelings of emotional deprivation and loss bring worries, depression, and a potential for illness. Now some pundits say that Donald Trump doesn't actually want the job of president and with this doubly difficult transit coming it seems to me that if he's (s)elected, the restrictions of living in the White House and the rigors of the job itself will be greatly disappointing for his nibs--in part, thanks to old man Saturn affecting his natal Full Moon. Personal relationships and family may be affected as well and it will take other more positive planetary input to relieve these stresses along with a letup of Saturnian energies thanks to retrograde periods which will allow some respite. 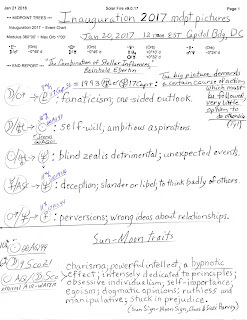 First, Venus squares restrictive Saturn (5A46) which is in a Money House, the 8th, as noted above. This suggests difficulties in cooperative endeavors and in gaining favor and/or material assets, and a preference for isolation instead of attending social events. Legal matters, debates, and taking on responsibilities may not bring satisfying results, or the costs may simply be too high. Rough sailing? Yes, but things can still work out okay in the end especially for the win-win class of power elites. Next, Venus conjoins Mars (6A37), a transit denoting joint efforts with partners and/or allies are pleasant as is travel--perhaps Air Force One is suggested since luxury travel is indicated and a meeting is in the cards. Is this a lady (Venus) president meeting with the guys? Perhaps. A reporter (perhaps Robert Costas on MSNBC?) said this week that Wall Street titans "are not afraid of what Hillary will do" if she's elected, whereas Bernie Sanders--well, that's a candidate of a different stripe all together, isn't it?! 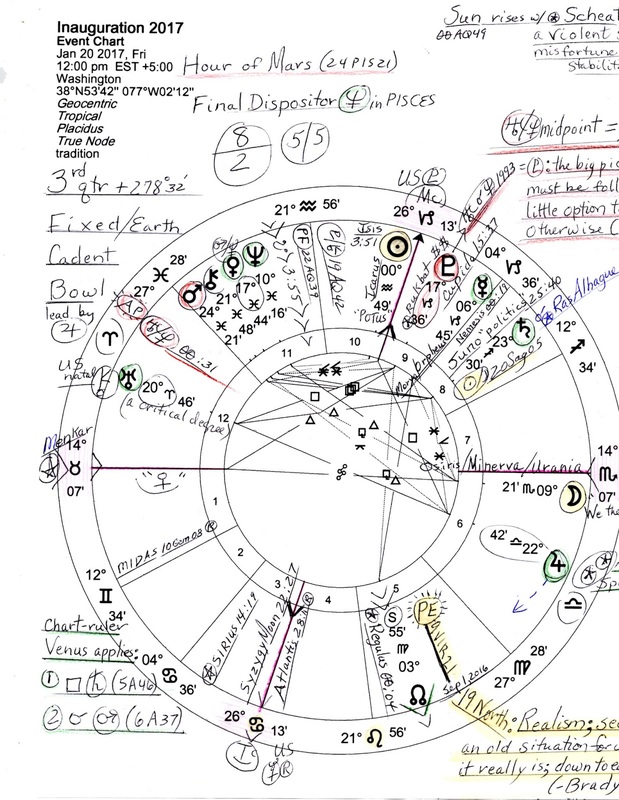 Note: the rim of the Bowl, the Jupiter-Uranus opposition, is the culmination of their current cycle which began in 2010/2011 with three conjunctions: June 8, 2010 @00Ari18 = Aries Point and conjunct US natal IC; September 19, 2010 @28Pisces, and January 4, 2011 @27Pis02. This marks the period when 'Tea Party' candidates infiltrated the US Congress intent on shaking things up, plus, it relates to the debt issues that Congress pretended to 'deal with' in 2011 so with the Jupiter-Uranus opposition we may expect more financial stalemates and fiscal difficulties as a new president accepts the baton and runs with it, taking We the People into what the transnational Money Trust intends to be a global new world economic order--allegedly legalized on December 23, 1913 with the surreptitious and illegal passage by Congress of the NY Federal Reserve scam. And with this post and many others since 2005, this American demurs and dissents.